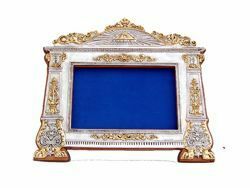 Altar Cards and liturgical Frames, religious documents’ holders and frames for holy texts, handcrafted Altar Frames made from bronze and gold or silver plated brass. 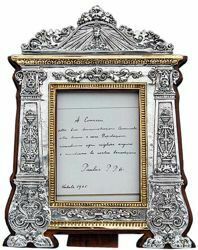 We offer altar cards and frames decorated with simple yet elegant motifs, made and finished by hand by italian handcraftsmen specialized in sacred furnishings. 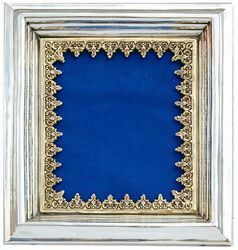 Altar frames available in small and big sizes, with an excellent quality/price ratio. Quality 100% Made in Italy.